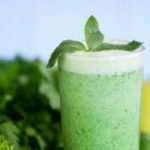 Watercress Avocado Green Smoothies promote healthy glowing skin! 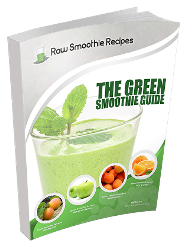 Who knew raw green smoothies are a fountain of youth? 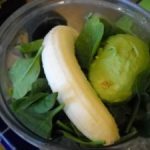 I tried a beauty blend raw green smoothie to test for myself. 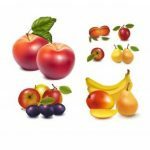 For me, glowing skin is more than an aesthetic of youthful vitality. The glow is evidence of my healthy nutrition and lifestyle. You are what you eat, right? When I fuel my body with fresh, clean food, I feel strong and healthy. Hence, drinking this Watercress Avocado Green Smoothie prevents me from feeling sluggish and weighed-down. 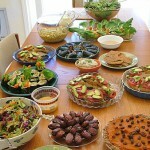 Instead of trying to turn back the hands of time, eating raw keeps me fit and strong. The result is a glow from within that is obvious on my face. All thanks to the magic ingredient: watercress. Watercress is a rich green leafy vegetable known as a Cruciferous. It is also in the same family as kale and spinach. Watercress has a peppery flavor and omits a sharp green aroma when crushed. Watercress is a popular vegetable in French, Italian and Chinese cuisines. This leafy green vegetable is rich in vitamin A, vitamin B12 and vitamin B6. It’s high on antioxidants and a good source of calcium. This is a potent veggie that has historically been used to aid in health. 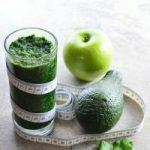 Boost Your Glow with my Watercress Avocado Green Smoothie! Whenever I feel like air pollutants or stress are showing on my face, I often reach for this green smoothie. Therefore, I like to make the Watercress Avocado Green Raw Smoothie several days in a row; usually for about four to six days. Avocado adds a creamy texture and spinach gives this an added protein boost too! I like the antioxidant and fiber benefit from the pear and its sweetness is a bonus! 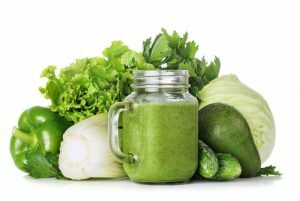 By giving this green smoothie a whirl in my blender, it gave me a glowing smile and radiant skin. Mixing it in my green smoothie rotation is a pleasant treat for my face and also for my taste buds. 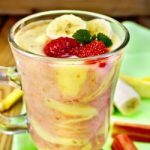 Pre-slice and freeze one banana for a chilled smoothie that has a thicker texture. Slice half an avocado and half of a pear. I like to use Bosc pears for a bold, smoky sweet flavored, or Red Anjou for a sweet and mildly spicy flavor. Add spinach, watercress, banana, pear, and avocado to the blender with water. Blend for up to a minute then add more water and blend to taste.